Pinterest is a very powerful marketing tool and possibly even more powerful than Facebook and Twitter. What most people don’t know is that you don’t need thousands of Pinterest followers to be a successful Pinterest online marketer. You can reach out to millions of Pinterest users with as few as 100 followers without spending a single dime. 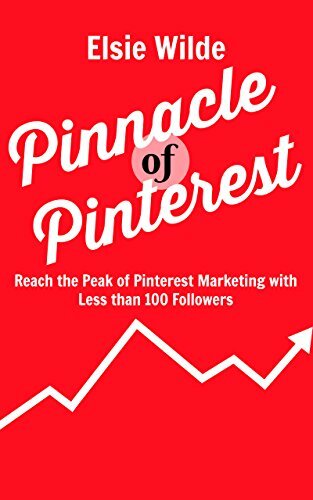 I’m Elsie Wilde and I am offering to share all my Pinterest secrets with you through my book, Pinnacle of Pinterest. I’ve been successfully using Pinterest for years to drive high quality traffic to my websites. Now, you too can do the same.